Over a decade ago we created a revolutionary product the XGameStation Micro Edition or better known as the XGS Micro Edition. It was the first educational game console kit you could buy with extensive documentation, demos, tutorials, and even a book. Created by our founder Andre' LaMothe, it was the first in a long line of educational and edutainment products he would develop over the next decade including the XGS Pico, The Game Console Starter Kit, the XGS AVR 8-Bit, XGS PIC 16-Bit, Chameleon AVR & PIC, The HYDRA Game Console, the MACH64, and many other products. Now, over a decade later the world has grown up and there are countless hobby development systems and a myriad of choices. 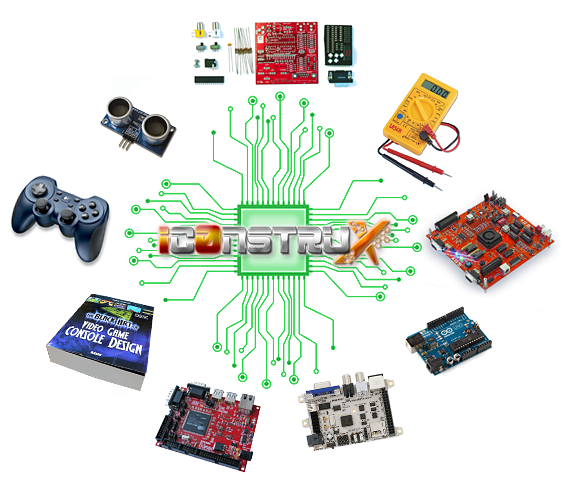 So many choices, it's hard for anyone that wants to get into embedded systems development for fun or professionally to know where to begin. With that in mind, we created iC0nstruX.com as a "boutique" embedded development site/portal for hobbyists, gamers, and professionals alike. The idea of iC0nstruX.com is not to have 1000's of products and overwhelm customers with choices, but to hand pick products that WE like, have tested, and used before, so we can endorse the products with some modicum of confidence that they work well and do the job. So, every product on the iC0nstruX.com site, we have personally used, and in the future we will post video reviews of every single product, so you can see them in action. Moreover, we want iC0nstruX.com to feel like your own personal website, so there are forums, reviews, tutorials, job postings, blogs, and you can even sell your own products on our site (check out Sell Ur Stuff !!! on the Resources panel/main page). The bottom line, we want to make iC0nstruX.com great and a gathering place for really smart people and really cool projects. iConstruX.com was founded by Andre LaMothe; Computer Scientist, Futurist, Game Developer, and International Best Selling Author. Mr. LaMothe holds degrees in Mathematics, Electrical Engineering, and Computer Science. Mr. LaMothe has developed countless products including embedded systems, text books, and PC games. When counted up and tallied he has produced over 750 products over the last three decades. Mr. LaMothe has been programming and developing systems for over 30 years. 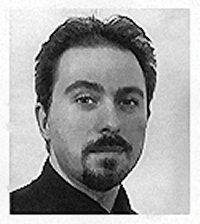 Before founding iConstruX.com and its parent company Nurve Networks LLC, Mr. LaMothe was CEO of Xtreme Games LLC, the first and largest true "Indie" game development company. From 1993-2003 Xtreme published over 500 game titles in the casual space for the PC and hand held platforms where 100% of the games were from small 1-5 man "indie" development teams. Going back even further, Mr. LaMothe was a silicon valley consultant and worked on projects ranging from artificial intelligence at NASA, to rendering algorithms at the Microsoft competitor Software Publishing Corp (SPC), to virtual reality R&D at Visions of Reality to name a few. 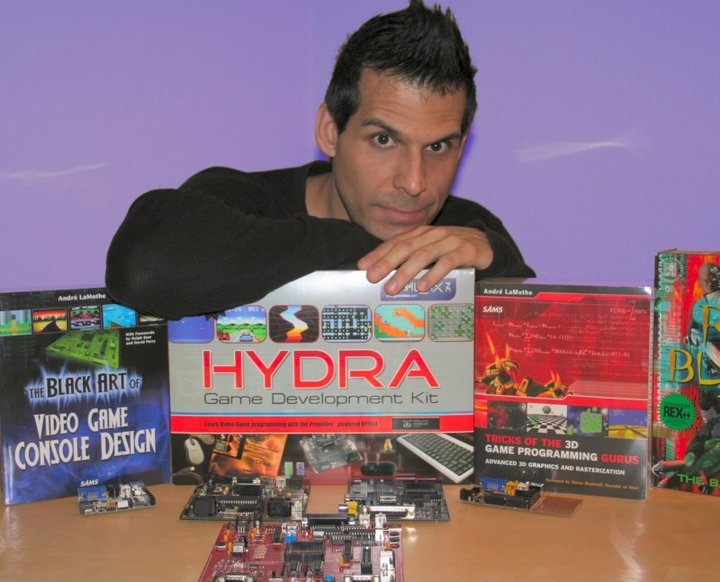 He is also the former founder/CEO Andromeda Industries and PlanetFreeStuff.com, co-founder of BelmDesigns.com and has sat on the board of a number of Silicon Valley companies including free internet trailblazer Spinway.com and the world's largest online game development college GameInstitute.com. Behind every great website is a great webmaster! And that's definitely true with iConstruX.com. The site developer and web master is Francesco De Simone. But, web design isn't Francesco's primary focus, its just his day job. His true passion is retro-computing hardware and software. And in fact, Francesco is quite famous in the Sega SC-3000 world. He has developed numerous emulators for the PC and ported them to Flash running in a browser! Francesco is the founder of Digimorf.com and runs the Sega SC-3000 website www.sc-3000.com. Additionally, Francesco is a certified 3D Studio Max and Photoshop instructor. Francesco, was raised in Italy and current lives in a little town named Chieri in the upper north-west corner of Italy. Its nothing like Silicon Valley, but it's peaceful and allows Francesco to concentrate on his work.